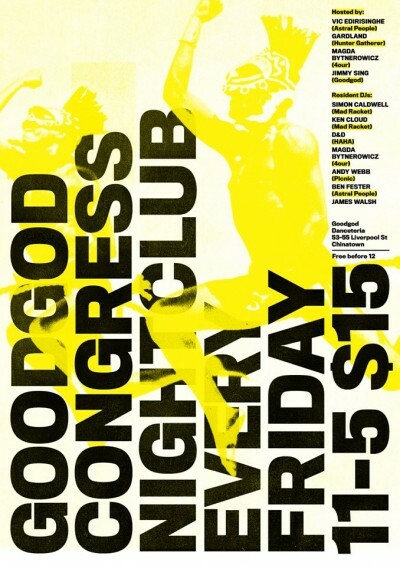 This Friday Goodgod Congress brings forth another amazing local lineup and the introduction of two huge debuts to the Congress dancefloor. Congress resident Andy Webb (Picnic) will be setting the mood from 11pm , followed by the debut of Sydney Mainstay and class act Lorna Jackson, and a closing set from Goodgod Compounder Zeus! For a big night, check out Brisbane’s Hey Geronimo launching their debut EP ‘Erring On The Side of Awesome’, at 7:30pm before the Congress session kicks in.